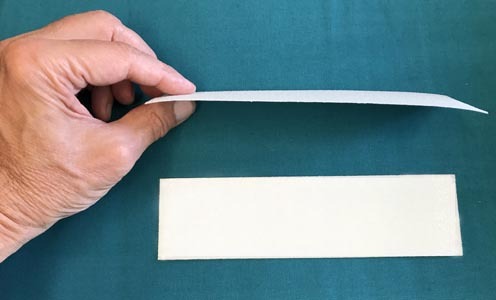 Tired of your rulers and templates slipping on fabric while marking or cutting? Then CutRite HandiGrabber no-slip, gripping material is the solution. Its specially formulated coating offers superior gripping power and being ultra-thin (only 1/32" thick), you won’t even feel its presence when holding your ruler/template on the fabric! Included are two 2” x 7-1/2” pieces of the semi-clear, “frosted glass” look material. 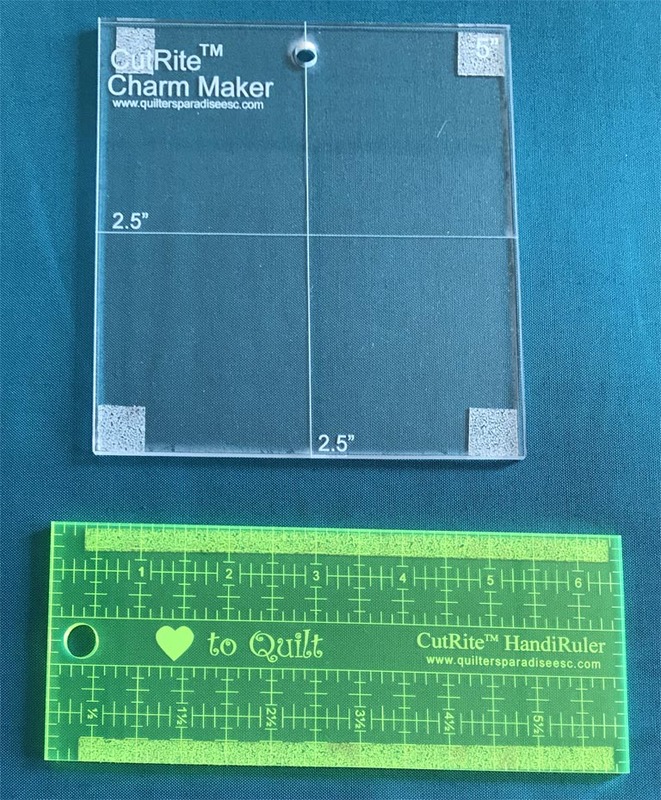 Cut the material into whatever shapes you want for your rulers and templates, such as strips, squares, dots, etc. Then stick the cut shapes onto your template. The strong adhesive backing on the material ensures that your shapes will stay put for a long time.